Learn Hungarian in only 17 minutes per day - quick, easy and effective! 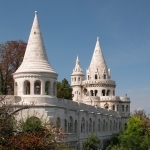 You want to learn Hungarian in a simpler and quicker way with lasting effect? The language courses specialist 17-minute-languages.com offers a proven possibility to learn Hungarian easily and that in only about 17 minutes training per day. Therefore the language courses uses the long-term memory learning method. What makes this Hungarian courses special? You have never enjoyed learning that much. How could one describe the learning method? Which content will you find in the language courses? What should you know about the software? Which benefits do you have after learning with the beginner's and intermediate course? This method is based on the latest findings of research on vocabulary learning. Every word will be repeated at precise intervals. Whenever you have learned a new word the program registers it and immediately the program begins to repeat the words systematically. On the following day the program asks you to translate the word correctly. Now the program waits for two days. The same word will be asked to be translated correctly again on the third day. After four more days of waiting, which means on the eighth day, you will be prompted by the same word again. After the next nine days, you will have to translate the word a last time correctly. You will never forget the word again, if you have translated it every time in the correct way. It has now a permanent place in your long-term-memory. The repetition will start new, if you forgot the word on any occasion. You will learn all the Hungarian vocabulary with this learning method. Also some new words will be added to your lessons every day. In some time your vocabulary will have grown to a big amount. Hungarian - Claim your free language course trial version! As you can see the Hungarian language courses tries to be as varied and exciting as possible. In addition to that you are earning points daily. These are a clue for you, so you can see how far you came so fast.